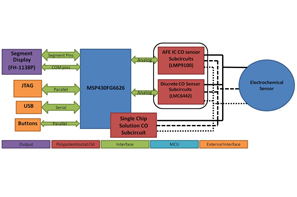 The Single-Chip Portable Carbon Monoxide (CO) monitor reference design is a proof of concept design that showcases the capabilities of the MSP430FG6626 microcontroller (MCU). 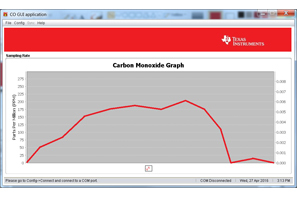 The CO monitor demonstrates the three different approaches towards constructing a CO monitor and reveals their advantages and disadvantages. The polypotentiostat circuit, which is at the heart of a CO monitor, was constructed using discrete op-amps, integrated MSP430™ MCU op-amps and implemented using an AFE.